NB Please note no drink maybe brought on site. Licenced bars and food outlets are available at the the venue. Yes, discounted tickets are available for 5 – 15 year olds, and under 5s are free. If I leave the concert can I get back in? What time is the last entry into the concert? Can I bring a dog to the concert? Dogs are not permitted at the concerts. Guide dogs, however, will be allowed. Non-professional cameras are allowed for personal use, but professional recording equipment and cameras (ie SLR or DSLR) will not be permitted onsite. Everyone aged 5 or over will require a ticket to gain entry but children under 5 go free. All under 18s must be accompanied by a ticket holder aged 18 or over. The concerts will always go ahead in the event of bad weather. Please check the weather forecast in advance and be prepared for the Great British Summer and bring appropriate clothing. The concerts take place on greenfield sites so can become muddy. Please note, umbrellas are not to be used when the perfomance is on otherwise they will restrict the views for other guests. Where can I purchase tickets for the concerts? What picnic items can be brought in? Picnic blankets and camping seats can be brought in but no gazebos. No food or drink maybe brought to the venue, but there will be a wide variety of bars and good quality food vendors on site. Please note that barbecues are not permitted anywhere on site. What disability access is provided at the concerts? Accessible toilets will be available on site and these will be well signposted. 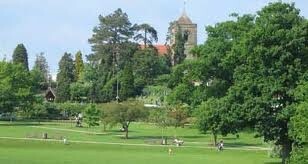 Although Victoria Park has wheelchair access, it should be noted that it is a greenfield site, and some areas of the grounds at the event site are uneven so special care should be taken while moving around the site. Please note that assistance dogs will be permitted on site.